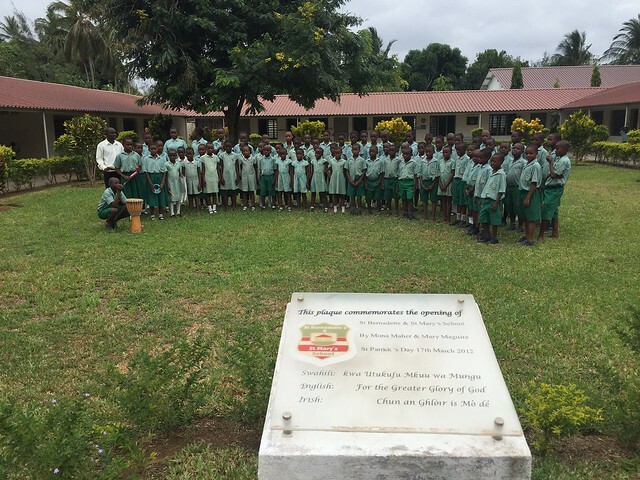 As 2016 draws to a close we look back on a very busy and successful year at The Good Life Orphanage & St Bernadette Mary School. To celebrate these memories we have chosen twelve photographs which we feel capture our project. 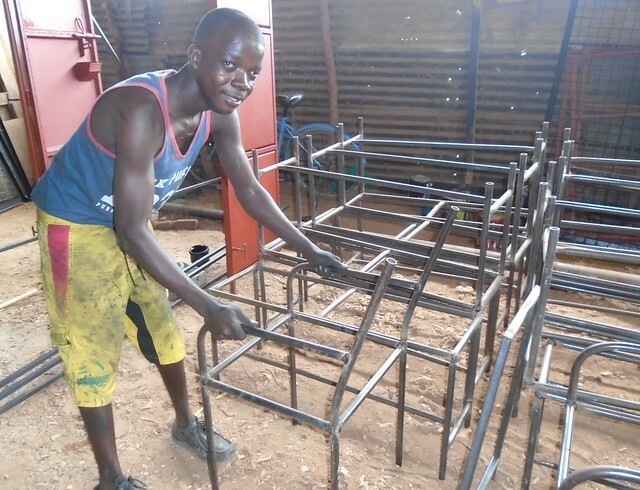 In January our eldest boy Abdualla left the security of The GLO at eighteen years old to start living indepently, he moved into a room in a Swahili House in Kilifi and Papa Kevin organised a welding apprenticeship with a local company. We continued to assist him financially during these first twelve months and he has done very well in coping in the big wide world. With one year training as a welder under his belt he still enjoys visiting The GLO each month to see his blood siblings, Hamisi, Salim & Suomo and his GLO Family. It was wonderful to welcome Ade back to The GLO in February, he is a big favourite with both staff and children. As always Ade came laden down with donations from Sage and also spent a large amount of his time upgrading our wifi systems at both the orphanage and school, all at his own expense. 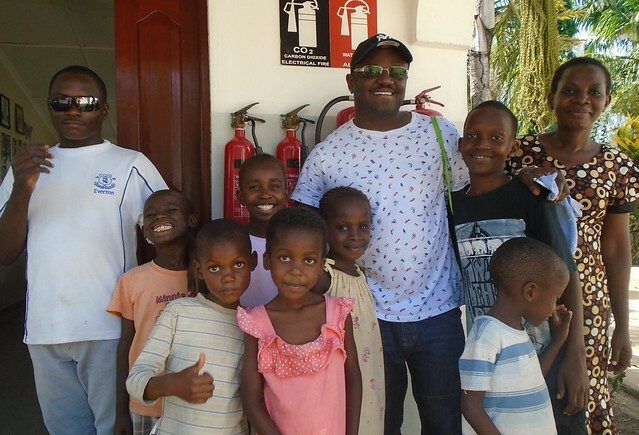 We are blessed to have Ade as one of our supporters and visitors, he usually visits Mombasa twice a year and always takes time out of his busy schedule to spend time at the project. We operate within a very tight budget at The GLO so when our only television broke down everyone was sad as watching the daily news every evening is a highlight for both the staff and children, Kenyans love keeping up-to-date with current affairs. 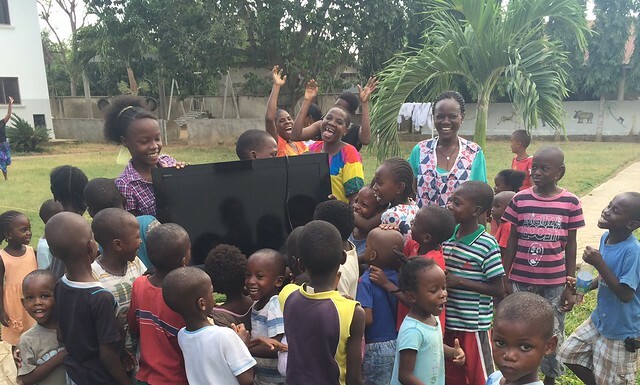 Luckily our Knight in Shining Armour came to the rescue, Max our very good friend along with Sima his wife donated a TV to the orphanage. As you can see from this photo it make everyone very happy indeed. Admission to high school in Kenya is the dream of many young people but sadly financial constraints mean it is just a dream. 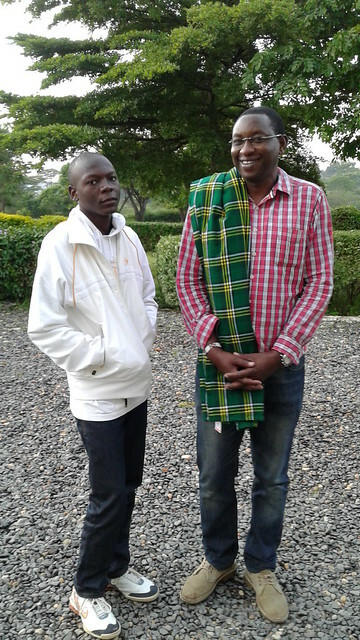 Thanks to the generosity of the Parishioners of Guardian Angels Parish in Bury, Lancashire our own boy Collins got the sponsorship he wished for and also achieved the high grades which allowed him to join St Peter’s Seminary in Kakamega, a 850km journey from The GLO. Mr Joe, our Senior Teacher, made the arduous trip with Collins for the 1st time but he now travels alone and is enjoying life there. 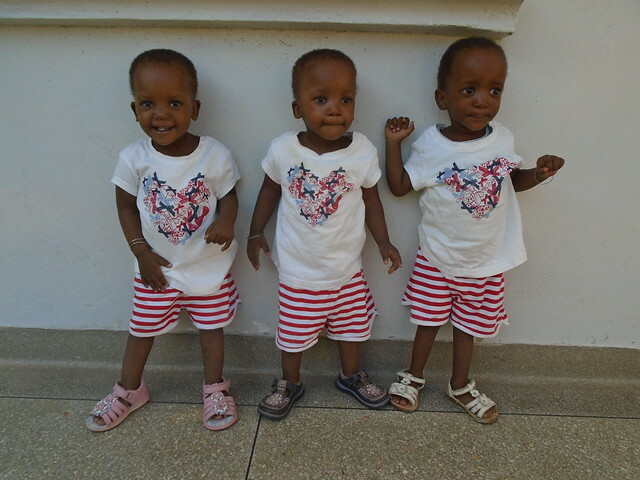 Lydia, Charolotte and Mary, our triplets continued to flourish at The GLO. 2016 has seen the girls walking although Charlotte did take about three months longer to conquer her fear of walking compared to the other two girls. We have found that Charlotte is also the bossy one whilst Mary is very laid back and Lydia is friendly. They are enjoying attending Learning Space Playgroup every day and they can now master a good variety of words. Our wonderful SBM School Choir has gone from strength to strength in 2016 under the tutelage of Mr Stephen. They were victorious at County level and took everyone by surprise at the National Music Competitions in Nairobi when they came first in one category and second in their other category. This competition has schools from all over Kenya and many with far more resources that SBM School. We are very proud of them. Easter at The GLO is always a time to rejoice and 2016 was no different, thanks to the generosity of our donors we had a wonderful Pilau on Easter Sunday. Madam Valentine also used some of the donation to buy each child a small Easter Egg. 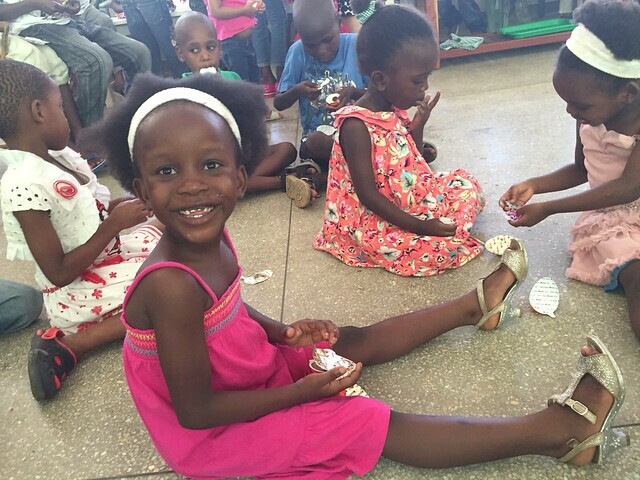 This was a first for our children and whilst they enjoy the chocolate egg they were amazed to find a small toy inside them, this was an Easter they will never forget especially Nyevu in the photo above. 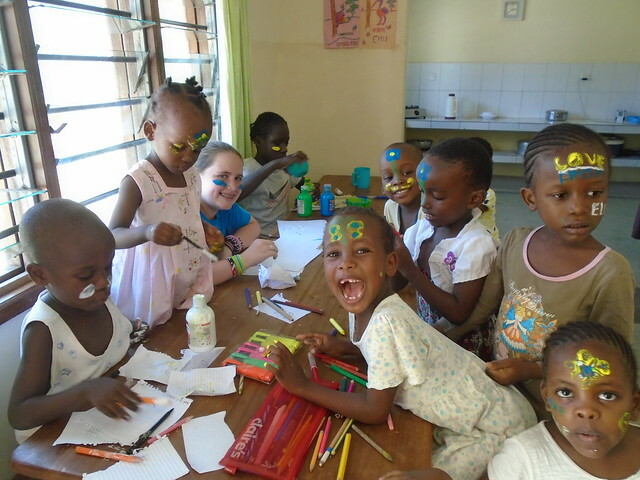 It was fantastic to welcome Elle, all the way from Salt Lake City to The Good Life Orphanage, she is a favourite of all our children and quickly adapted to life as a volunteer. Elle is a very friendly and hard working girl, she spent every waking hour with the children and was very sad when it came time to return home. 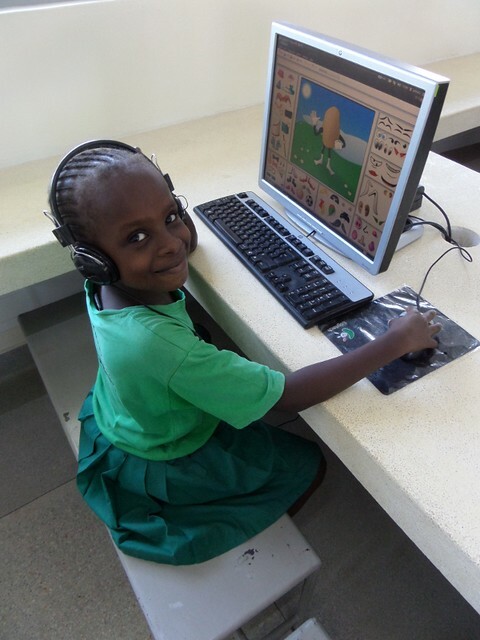 With the opening of our new IT Room many of the children were quick to adapt to the new desktops and extra equipment on offer to enhance their days at SBM School. Peter our new teacher is passionate about introducing IT to be included in many subject and gave the teachers extra training on Saturdays during 2016. Like Gracie above, our GLO children are very lucky to have access to this state-of the-arts facility. During Stacy & Shannon’s visit our GLO children got a very special treat, a visit to Haller Park which was a donation from The McKenna Family. 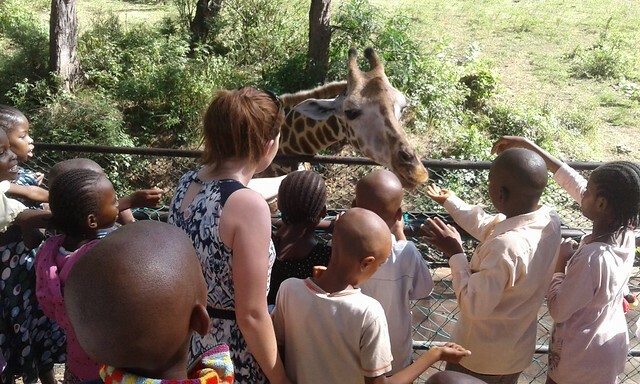 The children were overjoyed to be able to feed the giraffes and hippos whilst walking around the reclaimed park and its just a twenty minute journey from the orphanage. We also appreciate that the children learn so much about their country and it’s culture from trips to parks & heritage sites. Escaping the poverty circle is the No1 aim for many of the young girls in the villages surrounding The Good Life Orphanage & St Bernadette Mary School, with the introduction of our new sewing room they are very keen to train to be seamstresses. 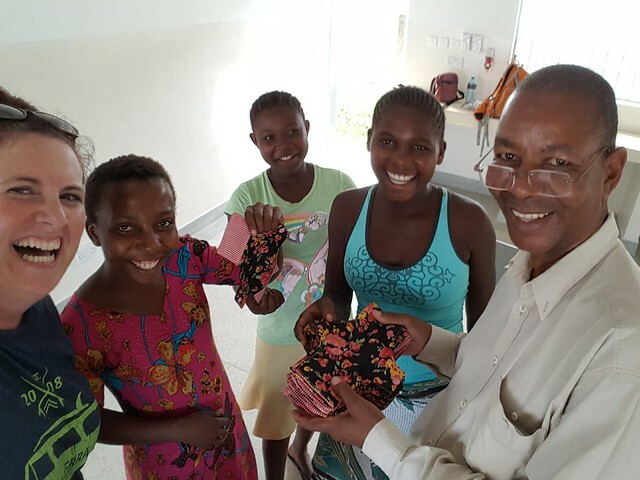 Carrie from U.S.A. is busy here with Kahindi and two of the girls training to make reusable sanitary kits which will change the lives of many of the girls who received them in early 2017. 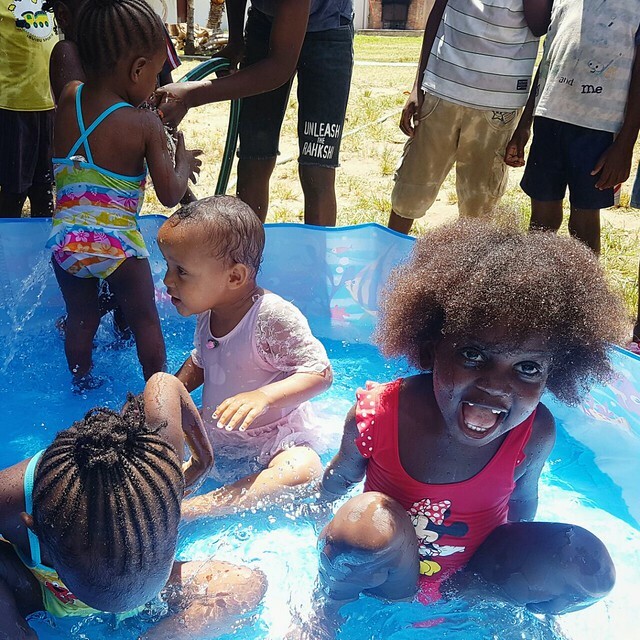 Last but by no means least, our GLO toddlers went crazy when Bethan presented them with this early Christmas present, a paddling pool. All ran into their houses and within a couple of minutes had changed into their swimwear, the mayhem that followed kept us all entertained. We were worried about the smaller children but it was just a chance to cool down in the searing Mombasa heat for them all.